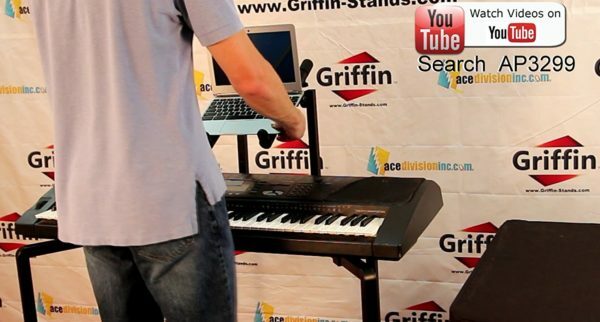 Keep Your Music Gear Solidly Perched on the Best Double Piano Keyboard Studio Mixer Stand by Griffin and Get Ready to Rock! Are you looking for a reliable, heavy duty, 2 tier stand to accommodate all your audio gear with safety? Then you need look no further!  Backed by a 1 year replacement warranty and a 30 day money back guarantee, you have nothing to lose! JAM LIKE A ROCK STAR: Hold your keyboard or mixing desk and laptop firmly in place and get ready for some home music recording, studio work or live gigs. 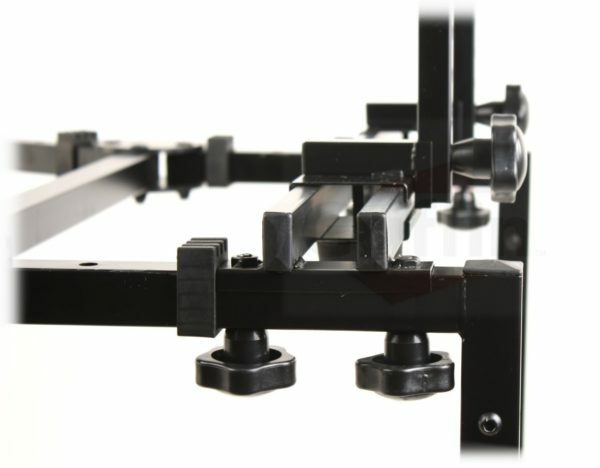 Extremely durable and versatile, this double studio mixer stand will easily hold a wide range of music equipment, such as large format piano keyboards, DJ coffins, heavy duty speakers, turntables, digital mixers, computer laptops, DJ disc players or anything else you choose. 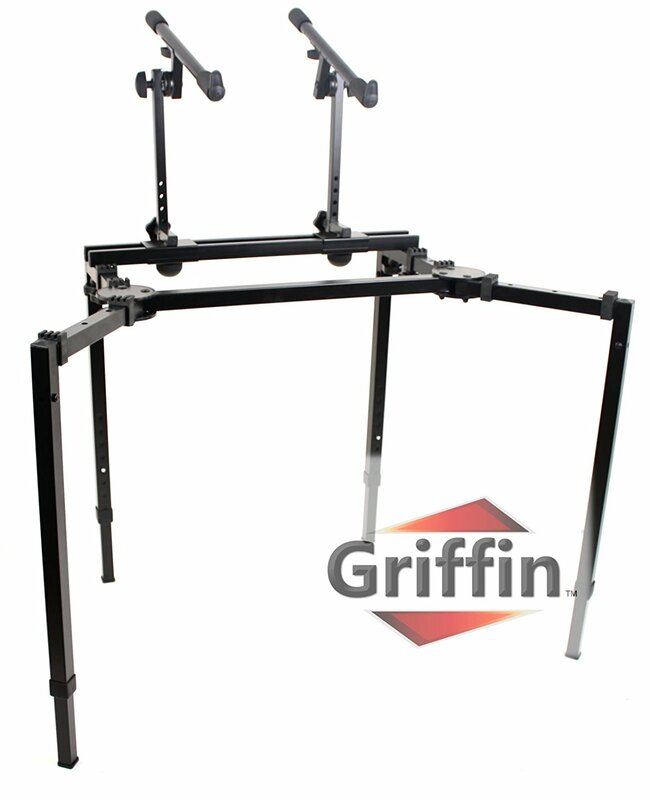 ADJUST HEIGHT, DEPTH AND ANGLE: This double keyboard studio stand allows you to adjust the height and depth of both tiers, as well as the width and angle of the upper tier independently, according to your needs. 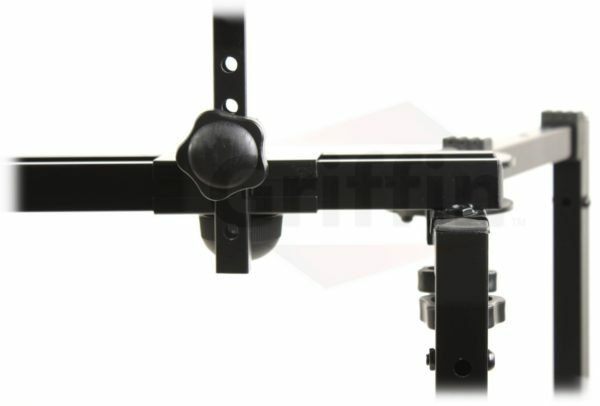 Bottom rack: From 24″ to 33.5″ in height, 17″ to 27″ in depth and 29″ to 45″ in width. 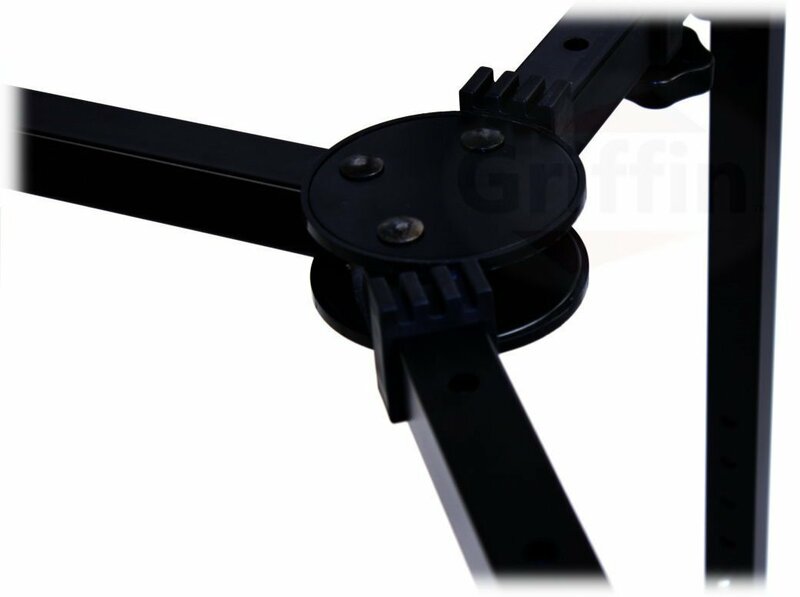 Upper tier: From 8.5″ to 13.5″ in height and tilt from fully horizontal to nearly vertical position. The legs will conveniently swivel inward or outward to fit most sizes of audio or music gear. PACK IT UP AND GO: Need to transport your double piano keyboard and laptop stand? No problem. Despite its sturdy, heavy duty construction, this dual DJ turntable stand boasts a highly portable design that is easy to fold down to a compact T shape for effortless transport and space-saving storage. 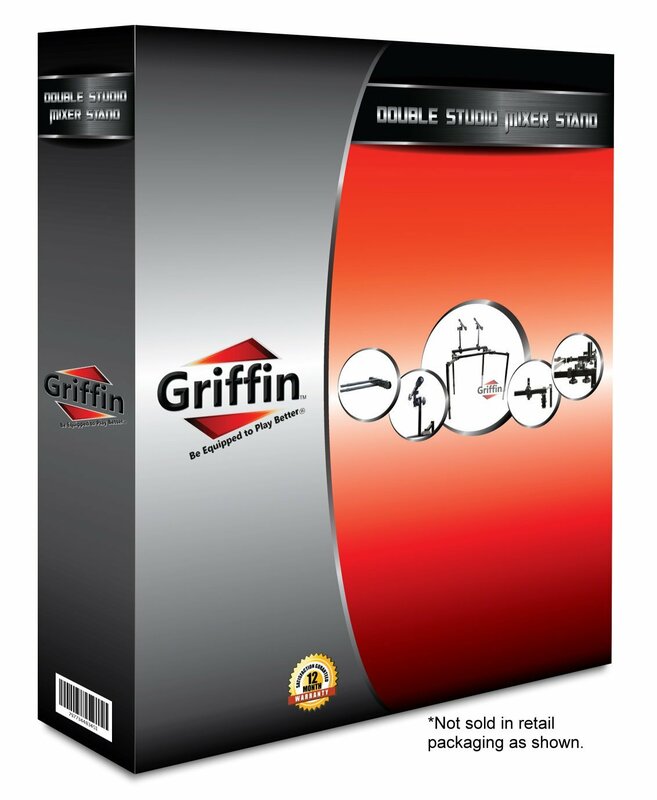 The rugged rubber feet on the bottom tier and its welded construction ensure maximum stability and anti-slip protection for your equipment. 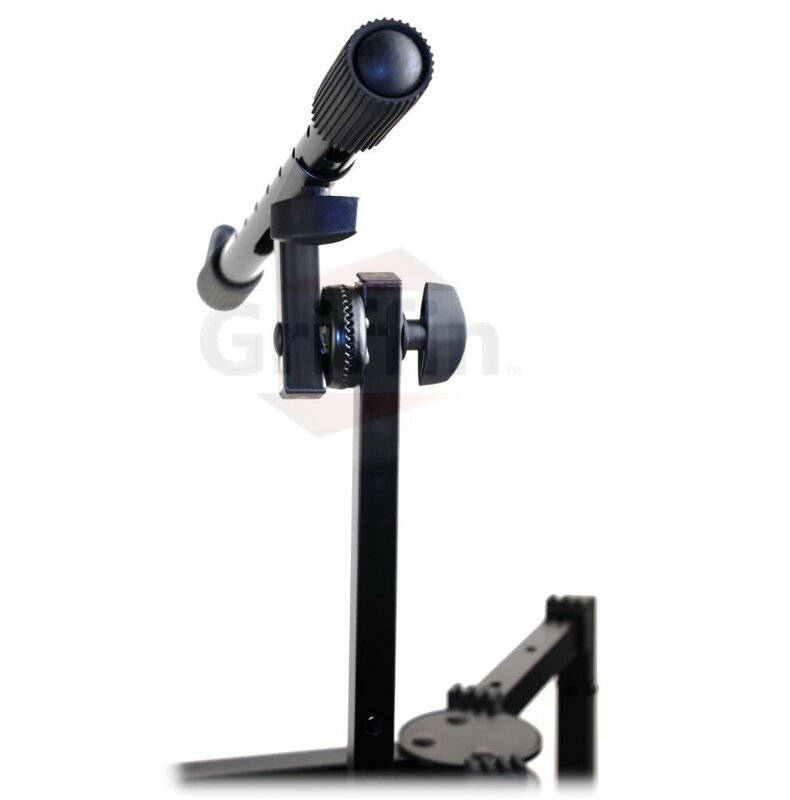 GET THE BEST PRICE ON THE MARKET: If you’re looking for a top quality, double piano keyboard mixer stand at the lowest price possible that will still deliver outstanding performance for years to come, then you need look no further. This Griffin dual mixer rack comes with an unbeatable price tag that you won’t find anywhere else on the market, guaranteed! 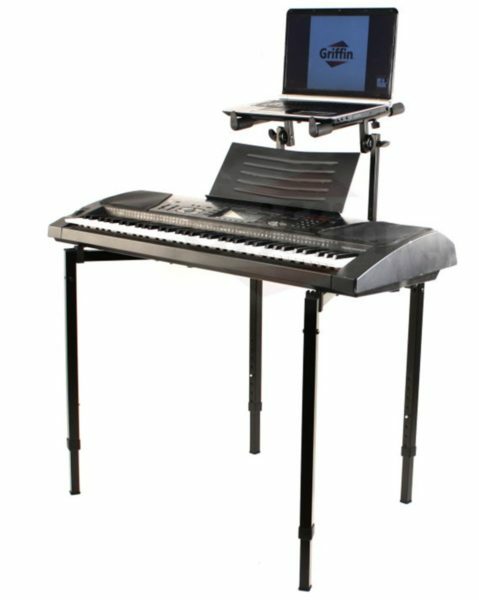 BUY WITH PEACE OF MIND: Buy with confidence knowing that this high quality, portable double keyboard stand is backed by a complete piece of mind 1 Year full factory warranty which included with all new purchases.